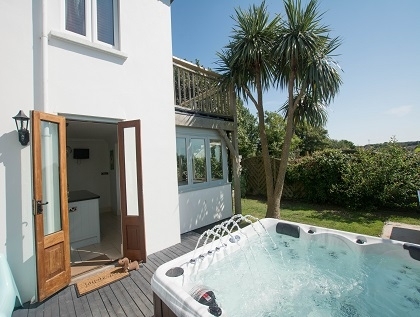 Large group holiday home that sleeps 14 in 7 bedrooms in Georgeham near Croyde and Woolacombe with private hot tub, the perfect accommodation for groups seeking coastal hot tub cottages with pets welcome. 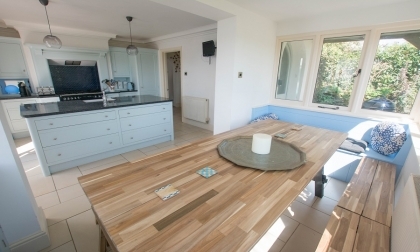 The house has been newly refurbished and designed with the owners unique styling and bursting with lavish features ready to entertain and cater for all age groups. Internally the property provides an impressive seven bedrooms, 2 benefitting from en-suites. Externally the property boasts an array of entertainment options including; Garden gate access to a children's play area with basketball and football, large decked area, self contained annex with facilities, ping pong table, balcony and when your feeling tired a bubbling sunken hot tub awaits. 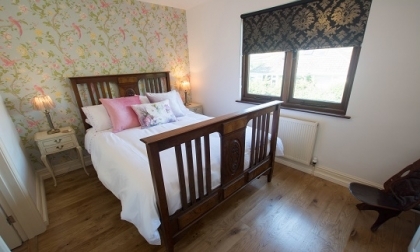 For food lovers, The Kings Arms and The Rock Inn are a short walk from the property and for beach lovers, Croyde beach and Putsborough are a five minute drive. 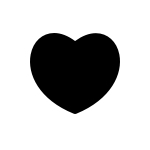 Whether you are young or just young at heart you will never run out of things to do here. 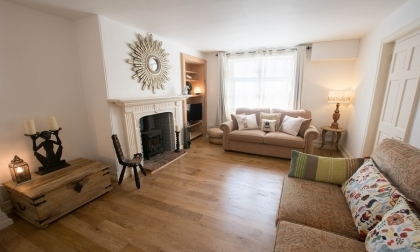 Living room with cozy log burner, three matching beige sofas, coffee table and a wall mounted LCD Freeview TV. Under stairs access to the washing machine. Bedroom One and Two - Double bed and Bunk Bed split into Two bedrooms with Jack and Jill walk in shower room separating both rooms with a WC, washbasin and shower. 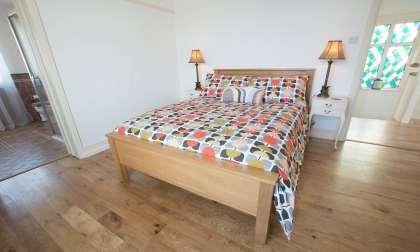 Bedroom Three - Double bed and single day bed with French doors leading onto the balcony with seating and views overlooking the playing fields. Master Bedroom - Double bed, bedside tables, wardrobe and Ensuite bathroom; bath, shower, w.c and washbasin Bedroom Five - Double bed, wardrobe and bedside tables. Bedroom Six - Single bed with bedside table. 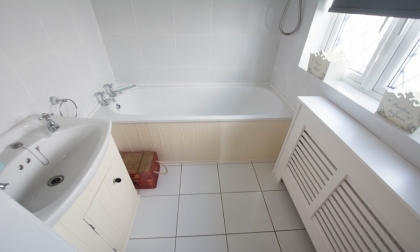 Family bathroom with bath, shower over, w.c and wash basin. 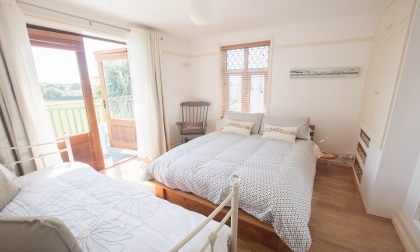 Bedroom Seven - Double bed in its own private self contained annex in the garden with sofa, breakfast bar with stools, wardrobe, bedside tables and kitchenette equipped with a kettle, fridge, toaster and microwave. 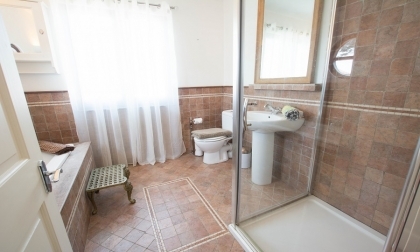 There is also an en-suite bathroom with shower, wc and washbasin. 8 seater square sunken hot tub, ping pong table, balcony, decking, BBQ and seating area. The garden gate backs onto Georgeham playing fields and play area which is ideal to send the children out to play while the adults socialise.